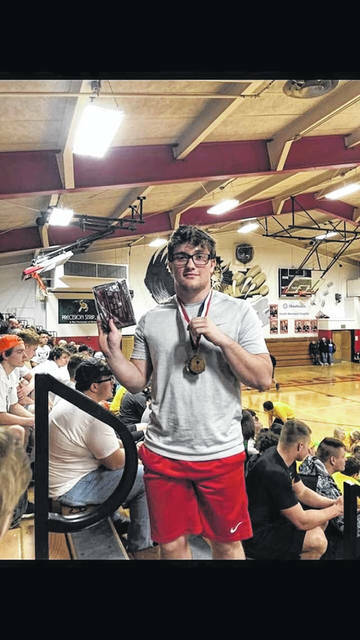 Portsmouth junior Tyler McCoy took home a state title at Saturday’s state powerlifting meet held in Kenton Ohio. 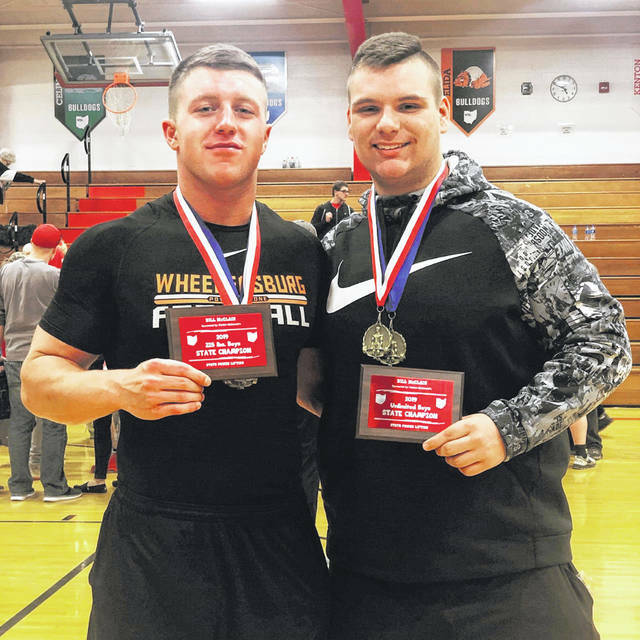 Wheelersburg senior Tanner Wilson (left) and sophomore Blake Richardson (right) took home state titles in their respective classes at Saturday’s state powerlifting meet in Kenton. KENTON – On Saturday, Kenton High School hosted the 2019 state powerlifting competition in which local schools in Scioto County participated in. Of note, three Scioto Countians travelled north of Columbus to Kenton and walked away with three state championships in their own respective weight classes. Wheelersburg senior Tanner Wilson and sophomore Blake Richardson both claimed state titles in the 225 lbs. weight class and the unlimited weight class respectively. Wilson will graduate from Wheelersburg in May and will go on to attend West Virginia State University this fall where he will continue his football career for the Yellow Jackets. Portsmouth junior Tyler McCoy also took home a state championship in powerlifting in his own class, the 210 lbs. division at Saturday’s state powerlifting competition. McCoy will rejoin the Trojans offense beginning this fall alongside star running back Talyn Parker. With McCoy’s size and strength and Parker’s speed, the Trojans should be primed for another great rushing season in 2019.